Erica is from Long Island, NY where she received her Master of Science in Occupational therapy from SUNY Downstate Medical Center in Brooklyn, NY. Her Bachelor of Science is in psychology with a minor in dance, from SUNY Oneonta. 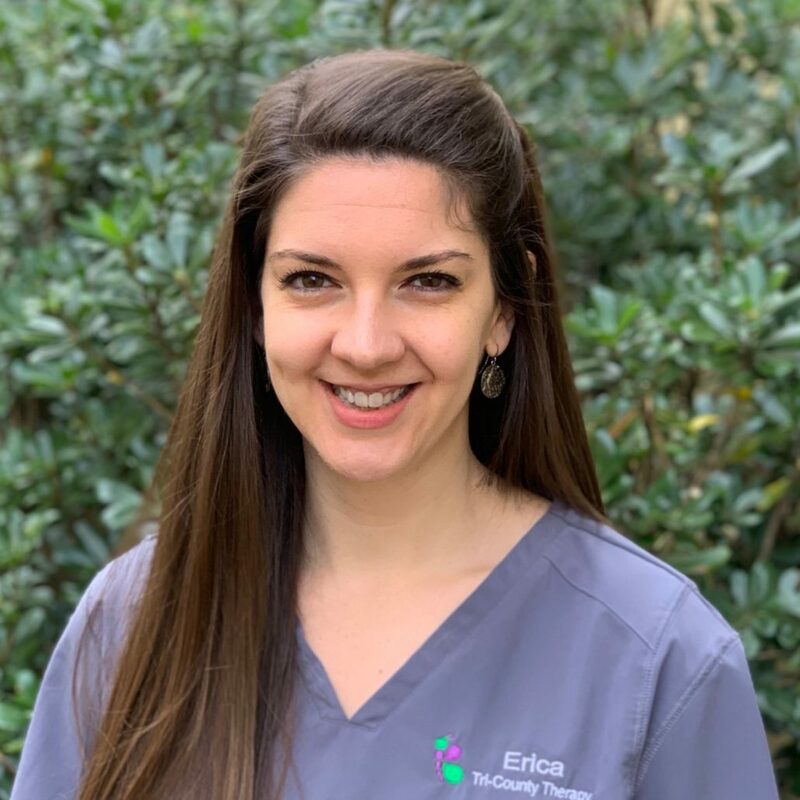 Erica has worked in a variety of pediatric settings including outpatient, school-based and the natural environment, as well as with adults in acute/ICU care and inpatient rehabilitation. Erica loves working with children of all ages and helping them reach their fullest potential. She has a special interest in working with children with sensory processing and feeding difficulties, and is trained in the SOS Approach to feeding and Beckman Oral Motor Protocol. Erica is also trained in various handwriting programs including Handwriting without Tears and has taken Julia Harper’s course on sensory integration. In her spare time, Erica enjoys practicing yoga, tying out new local restaurants and spending time with her husband.